Great starter home in Westgate, just blocks from the NEW 45th Street LRT Station & minutes to downtown. This property has been well maintained over the years, recent upgrades include; New Roof, Opening Skylight, HE Furnace, HWT, Interior Paint, Deck, Hardwood Floors, concrete driveway & patio. The main floor is a bright open concept with vaulted ceilings, wood fireplace in LR, large kitchen & DR with patio access to private west deck. Gorgeous hardwood floors throughout except basement. The Master bedroom features dual closets & ensuite, two additional bedrooms & full bath also on 2nd level. The lower walk-up level is bright with lg windows, back yard access, 4th bedroom & full bath. The basement level is developed with another rec-room, storage, crawl space, laundry & mechanical. 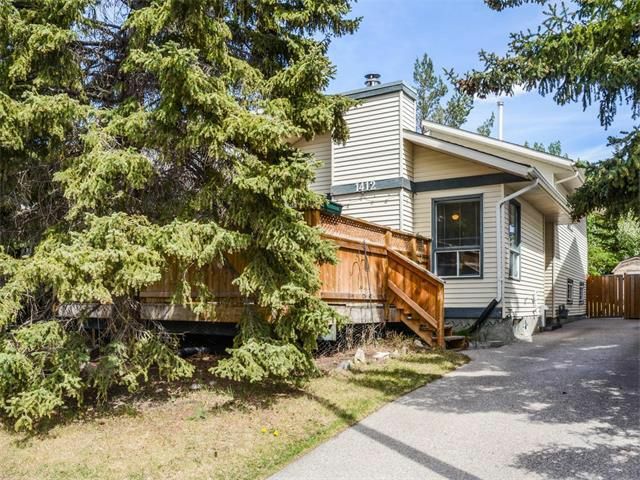 This property backs onto a park. 47th St is now very quite with restricted turns onto 17th Ave SW.